My little man recently turned 1 and I knew we needed to celebrate with one of his favorite foods: ice cream! 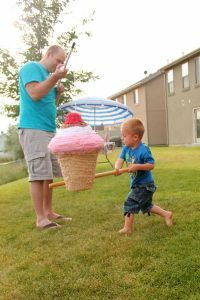 I teamed up with Wayfair.com for a birthday bash centered around his favorite sweet treat! We sent out the invites to our family and turned to Wayfair for the rest of the party details! 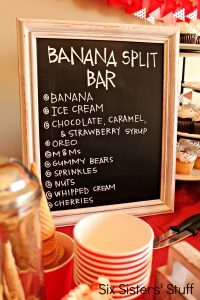 I found an old frame and spray painted the glass with chalkboard paint to make a chalkboard sign for the banana split bar. You can’t have an ice cream party without ice cream! It was over 100 degrees, so I knew these galvanized tubs from Wayfair would be perfect to keep our ice cream frozen. Wayfair has a huge assortment of ice cream cups that are perfect for any party! 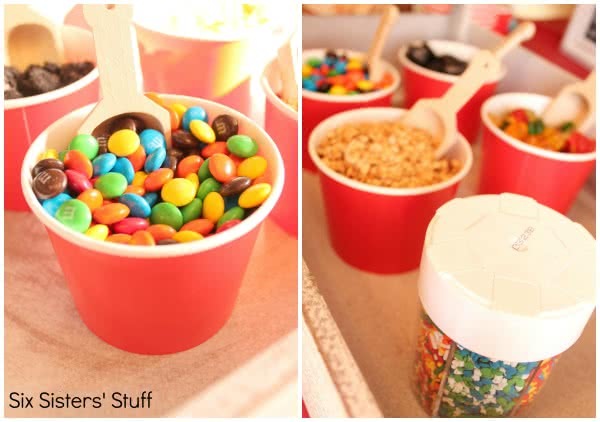 You can also find scoops, which are just right for serving toppings! 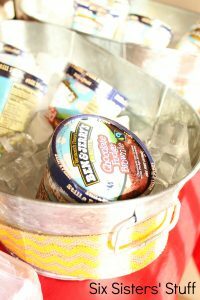 Not only were the galvanized tubs perfect for keeping our ice cream cold, they were great for drinks! Wayfair can even help your drinks look cute, with this mason jar drink dispenser and these striped straws! 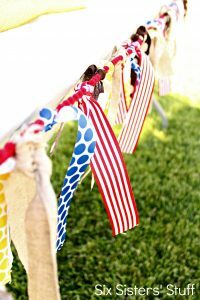 For an easy to way to add a little color to your party, tie ribbons and scraps of fabric to a long ribbon for a quick and simple banner! 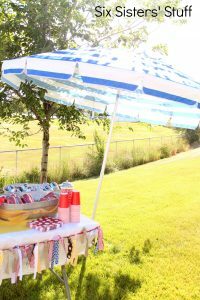 And just in case the drinks and ice cream didn’t help us cool off, we used this striped umbrella to give us a little shade. This little guy sure had a great day! 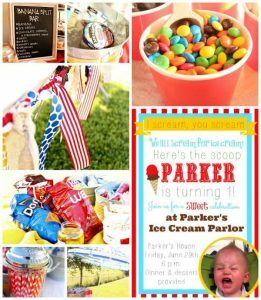 Be sure to check out Wayfair for all your party needs and so much more! I was provided product from Wayfair.com in exchange for this post, but all comments and opinions are my own. Can someone throw me a party like this for my 34th birthday? In November... Yeah, I don't care that it will be awfully cold for an ice cream party! You really can't go wrong with an ice cream party! I wish we lived by a Wayfair because it seems like they have a lot of great products! We ordered all of the party supplies online. They have so many fun things!